Your SAFETY is our #1 priority. 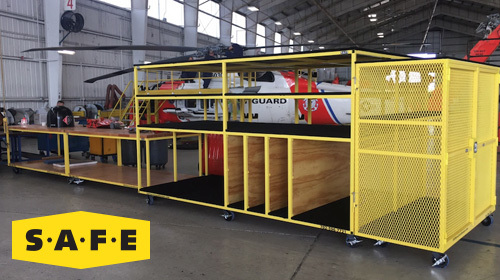 All of our maintenance stands are custom-designed to your exact specifications with a safety first approach. 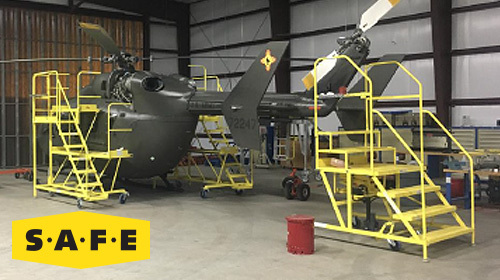 As a lean manufacturer & supplier of maintenance safety equipment to the civilian and military sectors, we are highly experienced in designing, engineering and manufacturing custom-built maintenance platforms in a variety of industries. 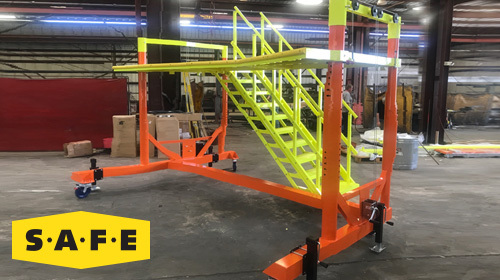 Our innovative products ensure functional work flows, safe access, and fall protection for maintenance technicians around the world. Anyone can promise you an unparalleled commitment to the mission of your organization, but it takes more than simple words to fulfill that promise. 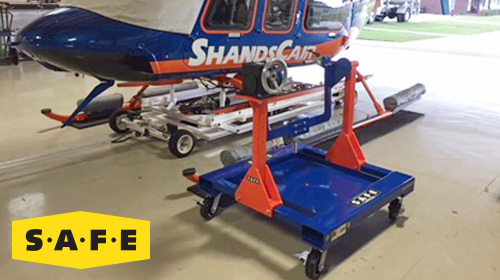 Your needs may be ever-evolving, but your expectations for quality will always remain the same. You deserve the very best and S.A.F.E Structure Designs is prepared to deliver to your highest expectations. Our team of designers and engineers will consult with you personally and create a design that meets your unique needs at no cost to you. Thats right - our team will design your vision on our dollar, so why not give us a try? At S.A.F.E. Structure Designs, you will always find us standing behind those who have dedicated their lives to the protection of others. 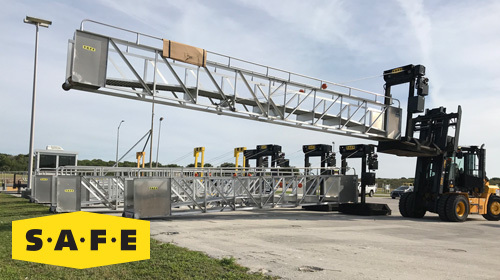 Our design, engineering, and manufacturing emphasis is built around one overall goal: to make sure you can take control of any situation, no matter where you may find yourself. 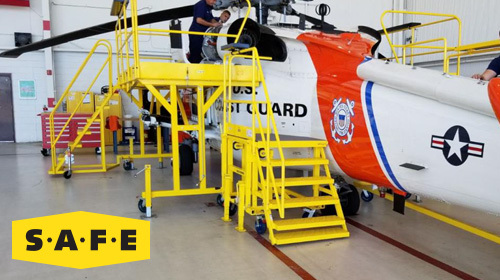 Whether you’re performing standard maintenance on an aircraft or you’re operating heavy equipment in less than ideal situations, you’ll find that our products, services, and advanced systems technologies will help you perform your work safely and effectively.